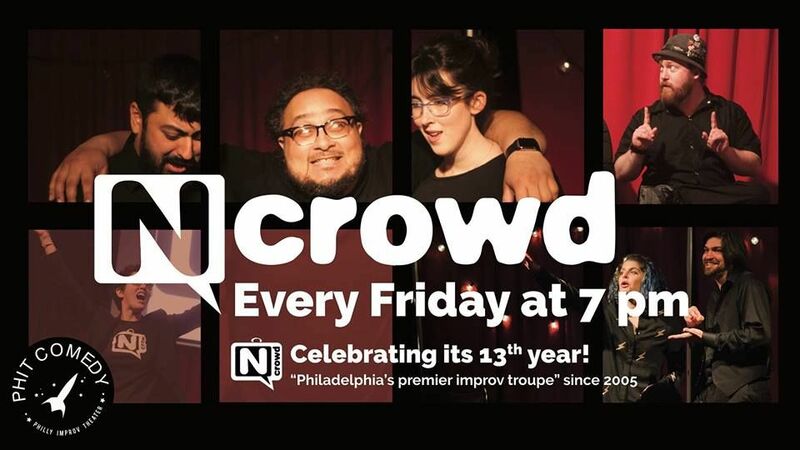 Every Friday night in Philadelphia since 2005, The N Crowd has taken your suggestions and played improv games with a rotating cast of hilarious performers. The N Crowd was called “Philadelphia’s premiere improv troupe” by Philadelphia Style Magazine. After more than 12 years The N Crowd is still going strong with sold-out shows every week. Learn more at phillyncrowd.com. $12 online, $15 at the door.